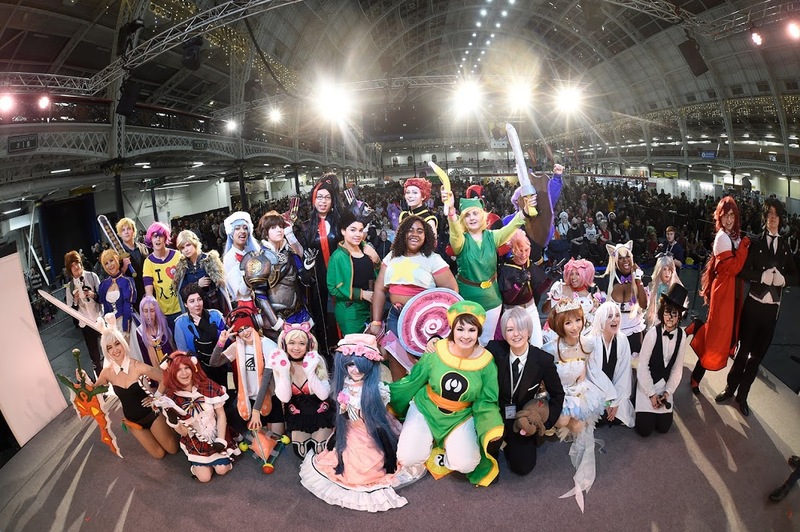 The COSParade is an opportunity for cosplayers to show off their costuming skills as part of a catwalk show in front of the HYPER JAPAN audience on Saturday 13th July 2019.
a) The COSParade is open to all ages, but entrants aged under 18 must have their entry form signed by a parent or guardian. If you look young for your age, please bring proof of age. b) You can enter alone or in a group (of up to 10 people), groups must all be from the same series or follow some kind of cohesive theme. c) Costumes may either be bought, or homemade. With respect to what types of costumes are allowed, any and all cosplay ideas are welcome. However, applicants are kindly requested to keep the family-friendly nature of the event in mind when selecting a cosplay costume to register. All entrants MUST provide a reference picture of their appearance. This can be attached to your online application entry or handed in with your registration form on the day. Please label it with the name of the character and contestant. While it is understandable that an existing picture of the character is easier to obtain, please make every effort to provide a picture of yourself dressed in the costume you intend to cosplay as. The COSParade will take the form of a catwalk show, with contestants walking on and off stage and posing, to show their costume to the audience. Detailed guidance will be provided in advance of the event. Music will be a set track and provided by the organiser. The following two fields pertain only to those who plan to enter COSParade as part of a group. Please add each member in a new box using the + button. I understand that photographs taken of me during the HYPER JAPAN COSParade can be used by Cross Media for any reasonable use. Use of the photographs may also be sold, granted or transferred to third parties at the discretion of Cross Media. I have read and agree with the COSParade competition rules. I have attached a labelled reference picture of my character. photographs taken of the child under my guardianship during the HYPER JAPAN COSParade can be used wholly or in part by Cross Media for any reasonable use. Use of the photographs may also be sold, granted or transferred to third parties at the discretion of Cross Media.